It is that time of year again where we look back and view the accomplishments of the journal and interesting research published. 2016 was an exciting year for the journal which included the launch of the much anticipated article collection, ‘Ending Preventable Stillbirths’, and publication of a vast variety of articles in the field of obstetrics and gynecology. Now that 2017 is upon us, we highlight some of the most popular papers from the past 12 months in the journal. Internet usage has taken the world by storm in part due to wireless networks, mobile devices, and ease of use. It can affect various aspects of an individual’s personal and professional life. The internet can be a means of accessing valuable resources and it has become a popular source of health information for pregnant women. However, there is little evidence to show the quality of the information accessed. ation. They report that significant differences exists between age groups, educational level, work status, number of pregnancies and usage of the internet among pregnant women. A paper included in this systematic review elucidate that those with a higher education were 3 times more likely to seek information from the internet. Married and nulliparous women were more likely to seek advice in comparison to single and multiparous women. Although information is provided to pregnant women during their clinic visits and appointments, there seems to be a need for information to increase confidence. Evidence indicates that the internet is used as a source of information before prenatal visits or immediately after and that most women felt that the information retrieved online was useful and reliable. However, most failed to discuss their findings with their health providers. This creates a risk of following unreliable sources and inaccurate information about pregnancy. Ultimately it can result in pregnant women being misinformed and perhaps made anxious about certain pregnancy issues which health providers would have otherwise been able to assist with. Health professionals therefore need to be aware of such hazards and provide guidance. Further research is needed to address such matters. Approximately 830 women die each day from preventable causes related to pregnancy and childbirth with 99% of all maternal deaths occurring in low resource settings. In order to reduce maternal mortality, encouraging institutional birth is an important factor to allow access to essential medical assistance. irrespective of where they gave birth, believed that birth at a hospital is safer. The authors also found that long distance or transportation was the most important consideration reported by those who gave birth at home. These findings illustrate that individuals opting for home births instead of an institutional delivery service could be doing so as a result of socioeconomic vulnerability to structural barriers instead of patient preference. Therefore, to ultimately reduce maternal mortality, efforts need to be made to improve safety of institutions by expanding to comprehensive emergency obstetric services as well as tackling the barriers that stand in the way of women opting for institutional deliveries. Evidence has shown that exclusive breastfeeding for the first six months of an infant’s life is the optimal way of feeding newborns. It provides protection against infectious and chronic diseases and has the potential to reduce mortality due to common childhood illnesses which include pneumonia and diarrhoea. In the developing world, it has an estimated potential to avert 13% of deaths in children under the age of 5.
decision-making and child rearing. Negin and colleagues carried out a systematic review where they found evidence to suggest that grandmothers have the ability to influence exclusive breastfeeding practices. They found that mothers were up to 12% more likely to initiate breastfeeding if the grandmother had a positive opinion, and up to 70% less likely to breastfeed based on a negative opinion. Ultimately, when it comes to exclusive breastfeeding practices, the results illustrates the importance of taking females of older generations, such as grandmothers, into consideration during research, global health practice and health promotion. has been found to be affected during pregnancy with common dreams being about pregnancy-related areas such as the baby and childbirth. In this study, Schredl and colleagues investigated nightmare frequency during the last trimester. 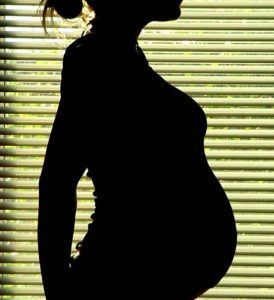 They found that a higher frequency of nightmares was experienced by pregnant women in comparison to those who were not pregnant. Nulliparous individuals and younger women reportedly dreamt about their future babies more frequently. Results from the study indicate that the nightmare frequencies are closely related to subjectively experienced stress, anxiety and worries about the health of the unborn child. 2016 saw the launch of the much anticipated article collection ‘Ending Preventable Stillbirths’ in BMC Pregnancy and Childbirth which took place in October, an important month for pregnancy and infant loss awareness. The collection of articles look at a variety of areas with relation to stillbirth in low, middle and high income countries. Risk factors of stillbirths are investigated aswell as the impact it has on the mother, families, health services and nations whilst also taking into account socially excluded populations. It is clear that more needs to be done to increase awareness regarding stillbirths and breaking the stigma and taboos surrounding the subject. The articles for this collection can be accessed via its homepage (please click here). To access the blog post linked to the launch of the collection and awareness month, please click here.